So you know those cookie decorating videos you see on the internet? Where people magically turn a cookie into a piece of art? Ya, I can’t do that. I’m pretty good at making cookies, but I lack basic cookie decorating skills. Or maybe just the will to spend that much time on each cookies. And the skills, I definitely lack the skills. 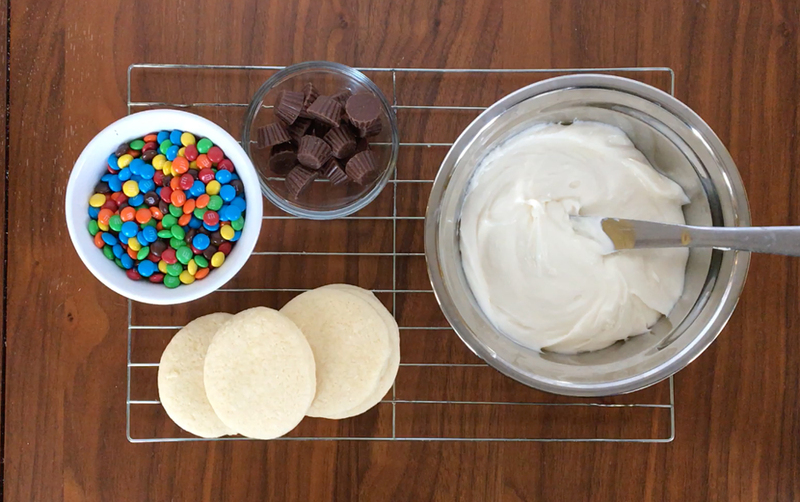 So I usually just stick with my super fast method of frosting cookies and call it good. 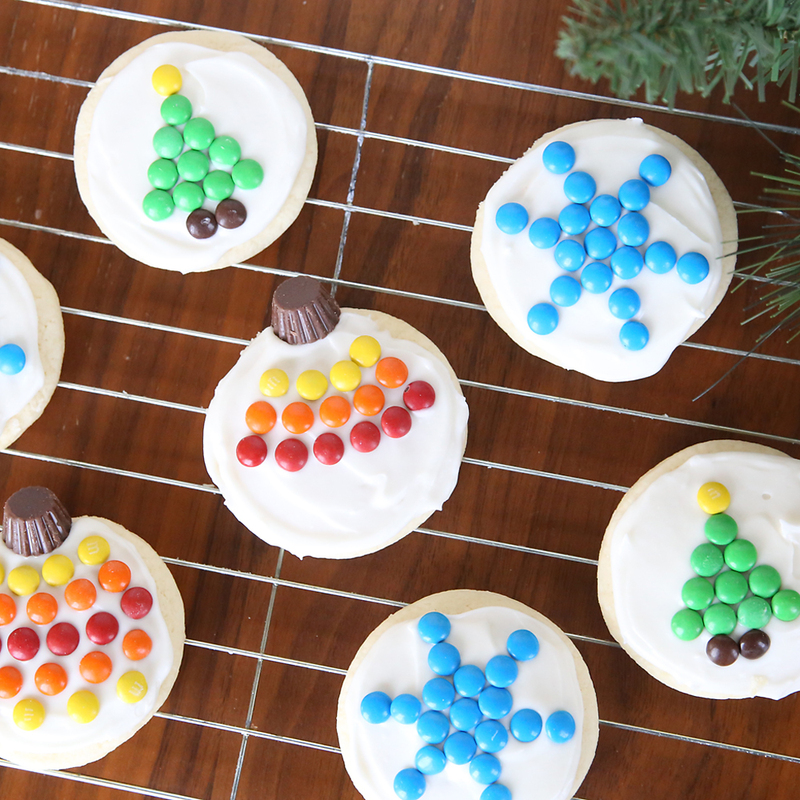 But since it’s nearly Christmas I decided to go above and beyond: I used mini M&Ms to make cute Christmas sugar cookies with no skills and minimal effort. I made Christmas trees, snowflakes, and ornaments. 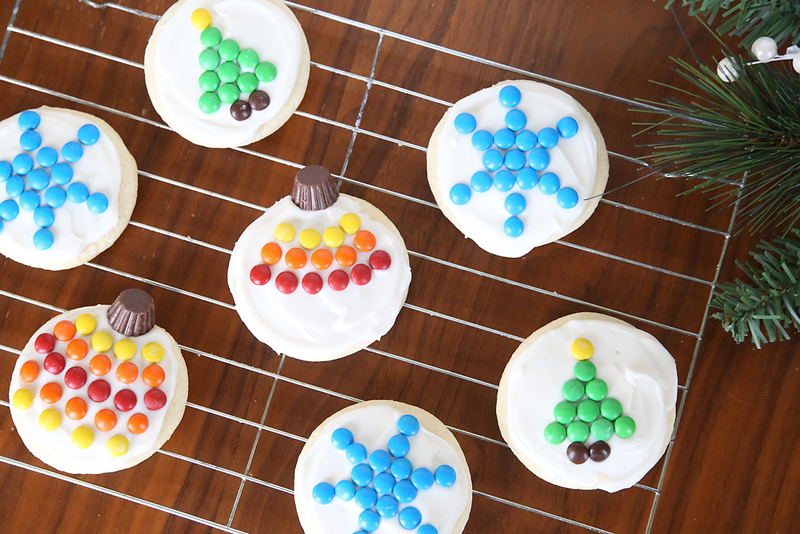 You’ll be able to decorate quite a few cookies with a full bag of mini M&Ms (I found them in the baking aisle at my store). And you’ll have lots of brown M&Ms left over, which you’ll just have to eat. 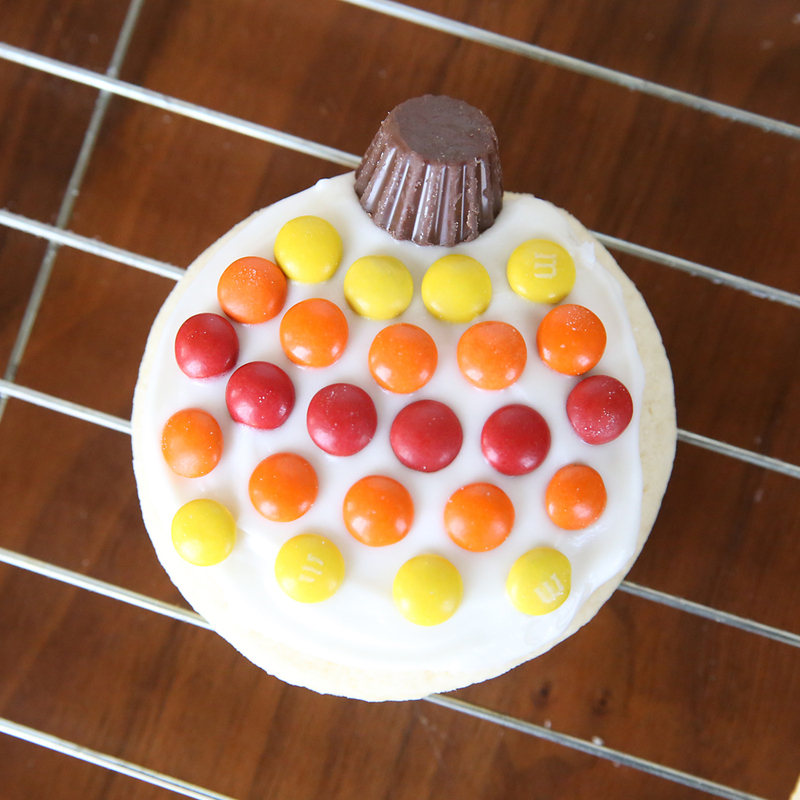 For the ornament cookie, I lined up M&Ms across the cookie in red, orange, and yellow, and I topped each cookie with a mini Reese’s (they come in a bag already unwrapped just for extremely lazy people like me). 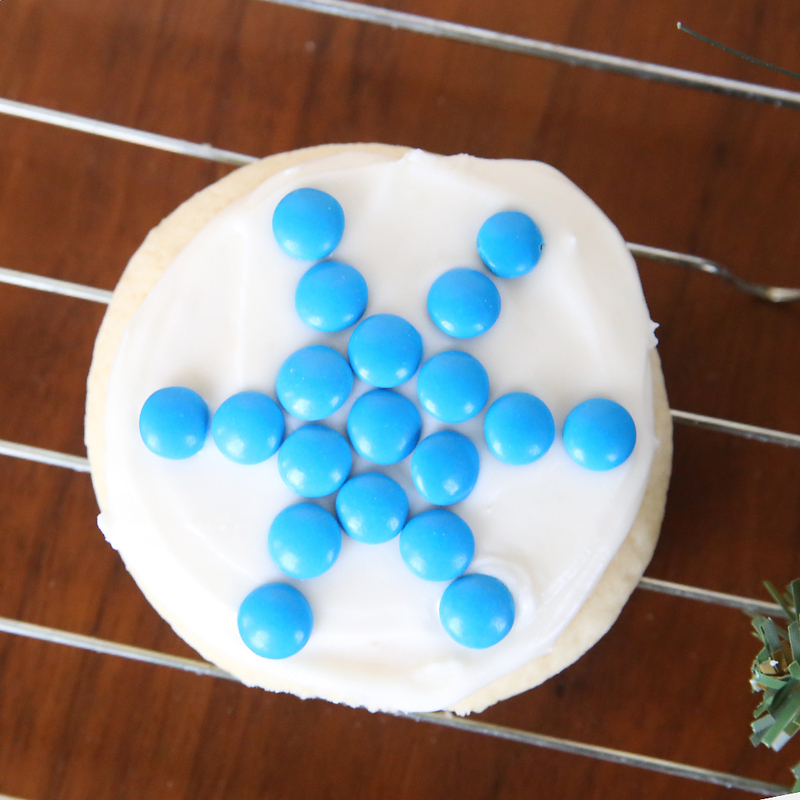 For the snowflake cookie, I started with one blue M&M in the center of the cookie, then surrounded it with 6 more in a circle. Finally, I made 6 “arms” on the snowflake using 2 more M&Ms in each. 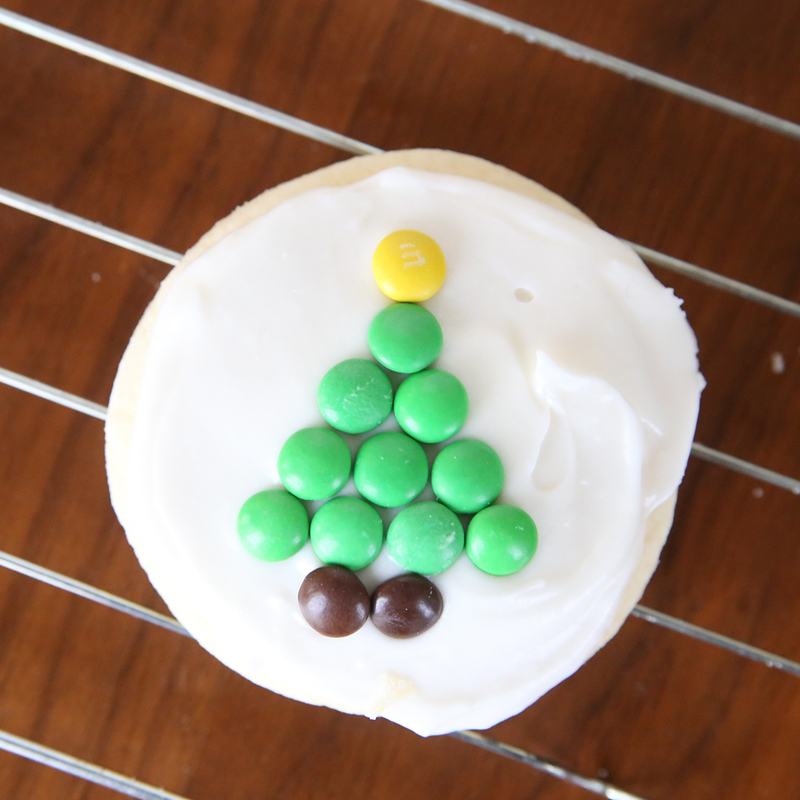 And for the Christmas tree cookie, I just made a triangle out of green M&Ms and topped with a yellow M&M “star” and brown M&M “trunk”. I so love the simplicity of your idea(s)!! And, yes, the brown ones must not be wasted!!!! LOL!!! A great idea to use for the children, they can have their own plate of sweetness the adult sweet treats usually contain some Bourbon or other alcaholic measure, so they can just indulge and the kids [your own] can help to decorate and also be complimented on their skills. Happy baking and happy holidays to all. I made such cookies for a college fair, the recipe was very similar to the one you wrote. For my cookie, I chose a pack of milk chocolate M&M , 220 gr. Less is not worth taking, since we will immediately put 100 grams in the dough, and the remaining 100 will disperse into the decoration. Cookies come out very satisfying, 1-2 enough to eat. Hardens are not very strong, and the chocolate inside and dragee give a unique taste. Thanks to you, I will learn how to cook it even more delicious! I like to play this online game and suggesting my friends to Joj for free and online.